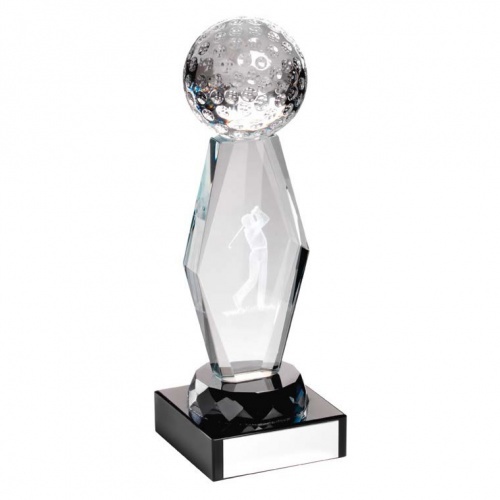 A high quality glass golf trophy featuring a golf ball set on a diamond design stem inset with a 3D figure of a golfer. Set on a multi-faceted collar and mounted on a black glass base with engraving plate. Available in three size options. These clear glass golf ball trophies are supplied with a quality presentation case.